Discussion in 'Research News' started by erik, Nov 30, 2012. The high-pitched ringing, squealing, hissing, clicking, roaring, buzzing or whistling in the ears that can drive tinnitus sufferers crazy may be a by-product of the brain turning up the volume to cope with subtle hearing loss, a new study suggests. The results, published in the Sept. 21 Journal of Neuroscience, may help scientists understand how the condition arises. Tinnitus is clearly a disorder of the brain, not the ear, says study coauthor Roland Schaette of the University College London Ear Institute. One convincing piece of evidence: Past attempts to cure the condition by severing the auditory nerve in desperate patients left people completely deaf to the outside world — but didn’t silence the ringing. How the brain creates the maddeningly persistent phantom noise remains a mystery. Schaette and coauthor David McAlpine, also of the UCL Ear Institute, suggest that these exceptions may actually be due to “hidden hearing loss” that shirks detection in standard hearing tests. The pair focused on the 10 percent of people with tinnitus who seem to have normal hearing. The team recruited 15 women with chronic tinnitus and 18 women who were free of the condition, all of whom had normal hearing tests. The researchers used electrodes to record the brain’s electrical activity as the subjects listened to loud, rapid-fire clicks. In the people with tinnitus, electrodes picked up a subtle abnormality in one of the brain’s initial electrical response to the clicks. A signal generated by nerve fibers that carry sounds from the ear’s cochlea into the brain was weakened, perhaps because of damage to some of the fibers. This hard-to-detect hearing loss may be driving tinnitus. A signal generated later in the sound-ear-brain pathway looked normal in people with tinnitus, the team found. In response to the loud clicks, electrical activity in the brainstem was no different between the two groups. In participants with tinnitus, this seemingly normal signal from the brainstem comes from the brain compensating for its hearing loss by boosting nerve cells’ signal-sending activity in a way that doesn’t depend on the external sounds, Schaette and McAlpine propose. It’s this heightened — and spontaneous — nerve cell activity in the brainstem that leads to the phantom tinnitus sound, they reason. “The brain cranks up the volume to make up for the pathologically low signal from the auditory nerve, exaggerating everything and creating tinnitus,” Schaette says. Hey Erik thanks for posting but I must disagree with Roland Schaette on this one. People were being told in the late 1990's at least that they think Tinnitus is the result of the brain turning up the volume in response to hearing loss so this is just repeating old information really. Ear Nose Throat J. 1995 Jul;74(7):468, 470-6. Cochlear nerve section for intractable tinnitus. Pulec Ear Clinic, Ear International, Los Angeles, CA 90017, USA. Tinnitus is a common and often very disturbing symptom. The majority of patients can now be successfully treated either by conservative medical treatment or by specific surgery. Intractable subjective tinnitus originating within the cochlea or cochlear nerve can frequently be successfully treated by cochlear nerve section. The cochlear nerve must be severed medial to the spiral ganglion to obtain optimum results. One hundred fifty-one cases are reported. Complete relief of tinnitus was achieved in 101 patients, worthwhile improvement was obtained in 43 patients and 7 patients obtained no improvement. The indications for this surgery will be given. Careful examination, accurate diagnosis, and proper selection of patients with intractable tinnitus for cochlear nerve section offer a good chance for success. So clearly severing the nerve does work some people so this would contradict the idea of Tinnitus being purely in the brain. Did Mr Schaette not know about this? If that is the case then that is quite disturbing in my opinion for a Tinnitus researcher. Molan, you raise a good point especially since both articles you point to were prior to Schaette report. I would like to know this too. I will ask, see if I get a response and if so post it here. For me I think my T has something do to the brain as well as possible damage to the nerve/fibers/hairs. After 2 audiograms from 2 diff audiologists including high frequency, my hearing is fine up to almost 14K. However, I do believe I some hearing loss just not detected on these tests. The thing that is interesting to me is that I just got off 3 days of near quiet T (.5/1 out of 10), which was barely audible, noticeable and I forgot about it most of those days. Today, it is quite the opposite -much louder and definitely noticeable and not forgettable (7-8/10). Despite the fact that I may have some type of permanent hearing damage or not, it is interesting that my brain can translate this into almost turning off of the T where I can' barely hear it for several days a week. This happens to me every week but and is typically 3 days sometimes 4. I have been trying to find a trigger, pattern and have yet to. So, whether I have some type of hearing damage or not, my brain can still almost quiet my tinnitus at times-- why is that? And if it can do it sometimes does that mean it is possible that it can do that all the time? Is there an area in my brain that can be suppressed to just quiet my tinnitus?....there must be because it happens frequently and everything else functions as normal. The relationship between distortion product otoacoustic emissions and extended high-frequency audiometry in tinnitus patients. Part 1: Normally hearing patients with unilateraltinnitus. Institute of Physiology and Pathology of Hearing, Warsaw, Poland and World Hearing Center, Kajetany, Poland. Background: The aim of this study was to evaluate distortion product otoacoustic emissions (DPOAEs) and extended high-frequency (EHF) thresholds in a control group and in patients with normal hearing sensitivity in the conventional frequency range and reporting unilateral tinnitus. Material/Methods: Seventy patients were enrolled in the study: 47 patients with tinnitusin the left ear (Group 1) and 23 patients with tinnitus in the right ear (Group 2). The control group included 60 otologically normal subjects with no history of pathological tinnitus. Pure-tone thresholds were measured at all standard frequencies from 0.25 to 8 kHz, and at 10, 12.5, 14, and 16 kHz. The DPOAEs were measured in the frequency range from approximately 0.5 to 9 kHz using the primary tones presented at 65/55 dB SPL. Results: The left ears of patients in Group 1 had higher median hearing thresholds than those in the control subjects at all 4 EHFs, and lower mean DPOAE levels than those in the controls for almost all primary frequencies, but significantly lower only in the 2-kHz region. Median hearing thresholds in the right ears of patients in Group 2 were higher than those in the right ears of the control subjects in the EHF range at 12.5, 14, and 16 kHz. The mean DPOAE levels in the right ears were lower in patients from Group 2 than those in the controls for the majority of primary frequencies, but only reached statistical significance in the 8-kHz region. Conclusions: Hearing thresholds intinnitus ears with normal hearing sensitivity in the conventional range were higher in the EHF region than those in non-tinnituscontrol subjects, implying that cochlear damage in the basal region may result in the perception of tinnitus. In general, DPOAE levels in tinnitus ears were lower than those in ears of non-tinnitus subjects, suggesting that subclinical cochlear impairment in limited areas, which can be revealed by DPOAEs but not by conventional audiometry, may exist in tinnitus ears. For patients with tinnitus, DPOAE measures combined with behavioral EHF hearing thresholds may provide additional clinical information about the status of the peripheral hearing. ...The thing that is interesting to me is that I just got off 3 days of near quiet T (.5/1 out of 10), which was barely audible... Today, it is quite the opposite - much louder... it is interesting that my brain can translate this into almost turning off of the T where I can' barely hear it for several days a week. This happens to me every week but and is typically 3 days sometimes 4. I have been trying to find a trigger, pattern and have yet to... my brain can still almost quiet my tinnitus at times-- why is that? And if it can do it sometimes does that mean it is possible that it can do that all the time? Is there an area in my brain that can be suppressed to just quiet my tinnitus?....there must be because it happens frequently and everything else functions as normal. This is exactly what happens to me - every week. OK.. slight difference in that mine actually completely disappears as well but I'm constantly searching for the trigger. There HAS to be one. I am having longer and longer periods with very little or no T and then just 1 or 1 and a half days of loud T. Today it's a 'tiniest tinkle but mostly not there at all' day. And they really do work - the inside of this (pretty large) living room is like being out in fresh air. I can't keep all three on all night because they're too noisy but I'm going to try for 2 tonight. I really was pessimistic when I bought them - under £20 each - but they do work. Whether they have any connection with my T getting less and less - I just don't know... but if they are helping and if mine is due to an allergy then yours may be too? I think there are lots of different types of T and yours and mine are the same 'type'. Hey Eric, yeah if we could get a response that would be really interesting so thank you for that. Clearly I'm no expert but in my view I believe for the most part that my Tinnitus is ear based not brain. I got an infection in one ear and got tinnitus. The other ear was silent until the infection spread and then I had it in both ears ever since. My tinnitus volume is at the same frequency as my hearing loss but would bet good money if the nerve damage was repaired the noise would disappear. I think cochlear hair damage is not that important as there are people who are deaf or have hearing loss but no tinnitus. Yet there are people with normal hearing with Tinnitus so to me that implies that nerve damage is where the problem is. The research from acoustics.org could be used as evidence for this in my opinion. Regarding triggers have you looked into EMF pollution at all? I haven't noticed anything with me but I have read some people's goes through the roof if they are in a Wi-fi zone or in a room full of electrical appliances. The ear is a very delicate and sensitive electro-chemical structure. Could you expand upon that? What are details behind Pulec being named in that book? Let's not forget that the idea of smoking or asbestos being bad for our health was once considered 'controversial'. Hi Molan, yes I have done much research on EMF's. Unfortunately, it is impossible for me to avoid this because of my work with computers. However, at home I try unplug all unused appliances, replaced lamps with LED bulbs, removed most electronic devices from my room at night since I spend much of my time in there sleeping. No TV, radio or even alarm clock. Wifi signal is also very low in that room. I purposely use a 6 year old router that is not as strong as current ones. Is this helping? Not exactly sure. My tinnitus has improved over the past few months but I cannot attribute it to this, my diet or general improvements in my well being. I'm sorry to hear that Erik, it's so frustrating isn't it when trying to find triggers. Since I drastically changed my diet my flare-ups have definitely reduced but I still get them and have no idea why. This condition is such a mystery. Jane, does this work without the fragrance? Prefer no fragrance - just in case there is chemical in it. Eric, are LED bulbs better than those non-LED energy-saving bulbs? Regarding router, what do you think about fibre-optics for internet? How did you get your T, Eric? I don't use the frgrances Ellen. I have 5 of the water fresheners now. They clean the air and also moisten it. Some are noisier than others. I also now leave them on all night because I think the benefit is worth the noise. Eric, for some reason, I find LED lights more jarring to the eye. The regular power-saving bulbs are more soothing. Could this be just my perception? Since having tinnitus, I've not only become slightly more hypersenstitive to sound, I think I am also more sensitive to lighting conditions. I even have to sleep with lights on. Thanks, click! Did you test for the noise level before buying the unit, or is it a case where after some time, noise develops from the unit? Prefer to avoid noise from machinery if possible. I ordered them from amazon Ellen so no testing beforehand. They're cheap and cheerful units and some are noisier than others but it's not a bad noise... they have three settings and on the low setting it's just a background 'hum'. As I have rain noise on almost all the time anyway it doesn't worry me much. I'm trying to avoid silence because it's still a suspected cause for my T. The air is much much cleaner and fresher because of them. I believe there are really expensive ones which are probably far more sophisticated and possibly quieter. Hes a cranial osteopath and psychologist ,his hearing is so bad that he has to lip read but his bad tinnitus of 16 years was cured ,so why is the brain now not producing noise to combat his ear loss.???????????? Hello Erik ,well he said to me it has completely gone ,now considering the guy Is profoundly deaf not to hear it is well fantastic.Has he trained his mind not to hear it ,I have to say i do not believe he meant it that way. Sounds like your doing ,great!! well as i type the TvIs on and also on is the Jet engine In my head. I've checked this guy out before via his web site and other info on the web even though he 's way too far away for me to visit (across the Atlantic), and I was not too impressed with his theory then. However, after hearing him explain it as he does in this video, I must say that his explaination of tinnitus rings true to me. His explaination about the nervous system being in hyper mode to the point that your hearing you're brain working (that's kind of what he said), fits my experience and how I feel to a T (Alright, enough puns). I do have a high frequency hearing loss in the range of the frequency of my tinnitus which would support that theory of tinnitus, but I often wonder if it is a true hearing loss or whether its the tinnitus masking the external sound so it appears like a hearing loss in a hearing test. To me the sound I hear - or to be more precise, the sound that my brain senses - has always sounded like I've imagined the flow of electricity to sound. Maybe I make that association because the squealing sound I hear is exactly like I remember a failing vacuum tube in an old TV sounding. Now I'm showing my age. Probably many on this forum are too young to know what a vacuum tube is. If anyone knows of someone who practices Mr. Hill's brand of CST in mid-America, please post info. 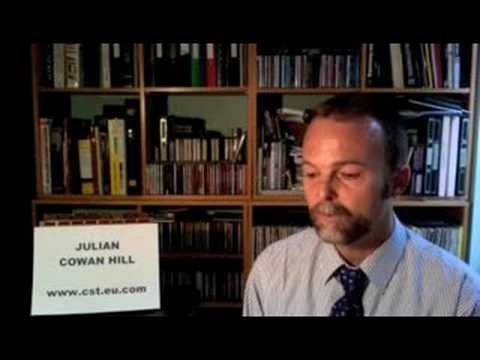 I am skeptical about Julian Cowan Hill and others like him. They have been around for years, he is part of Curetinnitus.org which is a subscription based site and hasn't been updated in over a years so that can't be good. I know he claims to be completely cured of tinnitus and maybe he is that 1 in a million that it happened to but I doubt it was because of his methods. If his method was truly a "cure" or even a successful treatment, this would have made headlines throughout the world and we would all know about it. I bouthg this book ages ago. Ive read most of it and it makes a lot of sense. Its explaining it in the same was as the Jastreboff Model really. Its about anxiety causing the hearing to become super-sensitive (as happens after hearing loss too). And about how to combat that anxiety. True Louise, this seems to be the best advice for T sufferers in general. Deal with the other issues surrounding your T and it will most likely make your life with T better. If you have extreme anxiety, depression, panic etc --treat it with meds and/or counseling and the T will improve. If you have some type of hearing loss, get some aids and most likely the T will improve. Mix in some "Time" and improvements should come. Yes. Its saying though (as does Jastreboff) that the anxiety makes the hearing so sensitive that you hear the 'normal activity' the activity that was always there. He does make a lot of good points. I'll write some of what he says up on this post tomorrow. Anxiety is probably the worst part of T. It can make tinnitus dramatically worse-- causing heighten senses, pain and other physical symptoms. Maybe that is the diff between the 99% with T who don't have an issue with it and the 1% which do, the 99% don't have anxiety about their T.
Hi erik ,I have to say re your last post with the greatest respect Im not with you on that one. After 26 years of it since I was 29 years old .I put It down to one thing and one thing only Volume .If your T is loud you will suffer ,If it isnt you wont. I wont have the perception of loudness either. last 2 years after a bad ear infection my T has been loud,loud ,loud. A lot louder than the previous 24 years where I had habituated. I put habituation down to how loud it is,not perception of loudness but how loud. I have the same feeling. But he is cured, which is great for him. I've always assumed there is an audiological defect that is starting the problem. From there, it becomes neurological. When some experts talk in psychological terms, about anxiety and "being too sensitive", it can get confusing for some of us. Fundamentally, tinnitus has got to be an audiological and neurological problem. Psycho-babble can generalize and group together a whole slew of mental conditions, swapping common terminologies that may not apply to tinnitus. Tinnitus isn't depression or anxiety, it's more complicated. I find it hard to believe that tinnitus can be caused by such things a guilt trips. I agree Karl but I do think depression and anxiety are somehow tied into T in many cases. It seems like most have either one, or OCD issues with depression or anxiety. And I program and compose music....I am doomed! There seem to be a number of different types of T but I think that anyone who has it had something that is 'wrong' or 'inefficient' to start off with - my reasoning is that so many people go to rock concerts and stand by the speakers and never get T... etc etc. so there must be something different about us. One type of T is obviously the type caused by loud noise. Once you have T because of this, you get anxious and that causes numerous other 'issues' - ie. a self fulfilling cycle of T, anxiety, more T and so on..
Another type seems to be due to a strong link between depression and tinnitus because so many people who previously had depression go on to get tinnitus. I suppose it could even be the drugs that are prescribed for depression causing the T.
But then there is a third type of T that seems to come from nowhere. Happening to people like me who have never had anything even approaching depression and weren't exposed to loud noise. With this type I believe that many had a 'pre-state' that can last for ages, even years, before the onset of their T.
Something has happened to the central nervous system and causes an anxiety to be felt where none is necessary. In some cases it's only slight and in others it stops them even being able to drive... or go into supermarkets.. crowds etc. Akin to panic attacks but not the same because there isn't necessarily an 'attack'. No depression - just anxiety for no real reason. Following the anxiety tinnitus emerges if a trigger sets it off. Whether it's some drug, medicine, total quiet, real stress... etc. etc. But it's all linked to that malfunction of the central nervous system way before T onset. Obviously T then causes real anxiety just as in the other types. I'm just hoping that the central nervous system can fix itself. Has Vitamin D Caused Tinnitus (Ringing in Ears) for Anyone?